Home / Blockchain News / Cryptocurrency Wallet / What is Proof of Stake wallet? Why it is important? What is Proof of Stake wallet? Why it is important? Blockchain is the new revolution and there is a lot to explore in this technology. Every now and then we come to know something new or a new term. Proof of stake is a term which is very common in terms of Blockchain and is attracting lot of attention these days. It is an alternative transaction verification process on Blockchain. Proof of stake works differ than proof of work. Unlike Proof of work, it depends on the Altcoins or Cryptocurrencies you own. The system chooses the forger/miner in a random fashion based on the number of currencies they hold. These forgers can mine and validate the transactions and create new blocks. 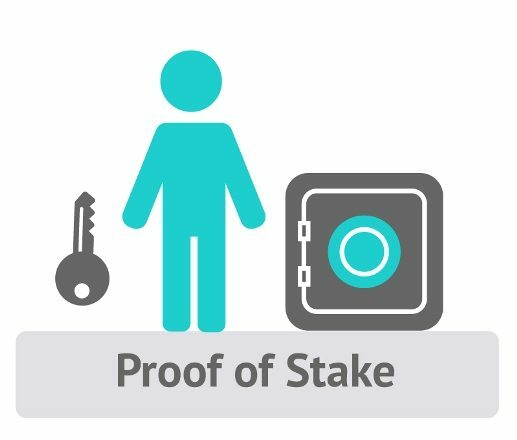 Proof of stake requires complete ownership and to mine or create new blocks, holders need to put their own asset on stake. If they validate a fraud transaction they will lose rights to validate coins in future and will lose their coins on stake. If they validate right transactions, they will receive rewards. Why do we need Proof of stake wallet? Owning a crypto asset is like owning fiat. You need a wallet to store and keep your asset safe. You will find number of crypto wallets online these days however not all of them will provide you all the benefits hence choosing one of them is a task. One such wallet is a proof of stake wallet which is being adopted by Ethereum and is it is in talks more these days. Coin like Ethereum has adopted this process which means there must be something big or unique with this. Proof of stake wallet offers you a platform to store your digital currency safe, secure and private. It allows you to generate blocks and earn rewards on the stake of Cryptocurrencies you own. This assures instant and unlimited low fee transactions with high interest on your holdings. You can increase your coins with your holdings and this totally depends on the number of cryptos you hold. This model seems to be attractive, unique and worth giving a thought. There are number of digital wallets emerging to store crypto assets, so the competition is not easy. One must be promising to stand in this volatile digital world. As far as the benefits and advancement of the wallet, Proof of stake wallet surely deserves a chance.